One of the best ways to strengthen the camaraderie of a group is through team building. Specifically-designed team building activities help grow trust, creativity and communication. 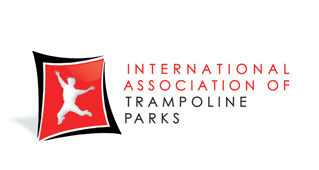 When deciding where to hold your next team day, consider the innovative fun for all at a trampoline park. Rockin’ Jump of Winston-Salem is proud to host these types of group and corporate events. In fact, Rockin’ Jump Winston-Salem recently won Best Family Entertainment AND Best Kid’s Birthday Place in the Winston-Salem Journal competition. Obviously, it is a venue where any age group can enjoy a variety of activities. 1. Physical activity boosts creativity – When we are in a playful state, our minds are free to think creatively. The physical activity of jumping elevates our minds to a place of play and joy. In addition, this activity helps our minds to focus better and increase problem solving abilities. 2. Increases energy – Exercise enhances blood flow carrying oxygen and nutrients to muscle tissue, producing more energy. One great aspect of jumping at a trampoline park is that it does not seem like exercise. You are getting to play and bond with your group, while getting the positive side effects of exercise. 3. Lowers stress – The physical activity of jumping releasing endorphins in the brain. Therefore, it helps to relax the muscles and relieve tension in the body. In turn, it becomes easier for a person to allow trust and enjoy time with their group. 4. Play helps to develop positive relationships – When children play a game, they are learning trust, empathy and compassion. The same happens for adults. Thus, team building at a trampoline park is an excellent way to build a positive bond with a group. As a result, you all become better at problem solving and communicating. What Team Building Activities are at Rockin’ Jump? 1. Climbing wall daredevils – Challenge each other to a race up the wall. Work as a team by timing the climbs to the top by team members. Whichever team has the lowest overall time wins! 2. Dodge ball game – You can transport back to days on the playground with a fun game of dodge ball! Team members will work together and strategize on how to take out their opponents. 3. A round of HORSE in the Dunk Zone – In the game of HORSE, you are trying to make the identical basketball shot that the challenger before you made. At the Dunk Zone, you can use the help of the trampoline to make your shots. Even if you do not have the height or natural ability for B-Ball, you have a chance at this challenge. Other team members can work together to make the winning basket. 4. Two Truths and a Lie – This fun game is ideal during a jumping break. Individuals will think of two truths and one lie about themselves. The rest of the team has to decide which statement is the lie. Hence, this activity is great for improving communication and strengthening personal bonds. 5. Three-legged race – The classic race of tied-together legs goes to the next level when you are running/walking on a trampoline! Learn to trust and work together with the same goal of getting to the finish line first. All while your four legs are now three! 6. X-Beam challenge – Two individuals try to knock each other off a balance beam with the use of a foam lance. There is a great sense of trust and strategy needed for this challenge. Teams cheer them on while building bonds and team camaraderie. No matter if, you are a corporate team, a sports team or a cheerleading team, there are times team-building is necessary. Communication, trust and problem solving are vital characteristics for any team to work well together. The design of team building activities helps improve and strengthen these characteristics. At Rockin’ Jump Trampoline Park of Winston-Salem, groups of all types can come to practice fun, team-building skills. The physical component of jumping has scientifically-proven benefits to increasing team bonding. Contact Rockin’ Jump online today so you can schedule your group’s next team building outing. Or, give them a call at 336-896-9100.